Now the important question is why should organizations use big data and analytics. The answer lies in decision making. Organizations cannot afford to make any decision just by guess or gut feeling. The use of predictive analytics and certain other advanced statistical methods to extract value from data leads to more confident decision making which in turn results is greater operational efficiency, cost reduction and reduced risk. Big data enables marketers to increase the size and range of information sources while speeding up reporting, enabling real-time forecasting and more informed and accurate decision-making. marketers benefit from a large volume targeting options when it comes to online advertising. The growth of cookies and information-rich social media, means that the data is there to go beyond simple demographic, geographic, psychographic and time-based targeting options. 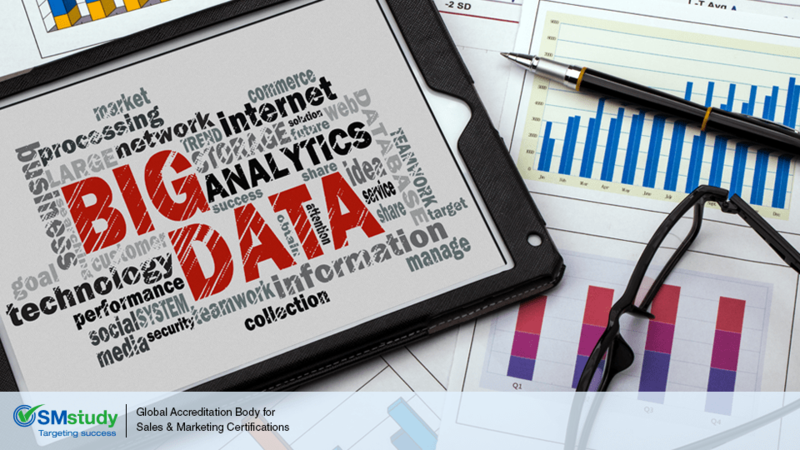 Big data analytics helps optimizing campaigns and improve results in a scalable, real-time manner. Big data transformed the last-click conversion attribution model to the multifaceted attribution model which takes into account all touch points across consumer purchase life-cycle. It was complicated earlier to capture these different, interrelated factors and their relative weights. But big data makes it easy to track, analyze and evaluate activities to see what is actually driving customers to engage. Find additional posts on sales and marketing at http://www.smstudy.com/articles.